Over at Fan Victor, where we develop the Ultimate Fantasy Sports plug-in for Wordrpess, we continue to work hard on bringing your the very best from the Fantasy Sports Software World. We have further enhanced our platform by adding new features , not only for the famous desktop version, but also the native mobile apps as well. The 2017-2018 NHL Hockey season has started and Fan Victor is excited to offer the craziest deal on NHL Hockey ever. Fan Victor is offering REAL TIME stats for only $147 per month. Normal price was $797 per month. Also, get the entire Formula 1 season here for only $497 one time fee! - Added Dashboard page. It displays all major info about your fantasy website. Total income, enabled and available for enabling sports and premium features, summarized info about contests, events, users etc etc. 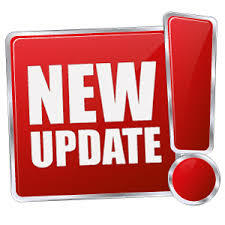 Please go ahead and update your version of Fan Victor to receive the updates. This article was posted in blog and tagged casino software, fantasy football, fantasy league software, fantasy soccer, fantasy sports, fantasy sports software, fantasy sports website.